A GPS Free Generic Radio Localization Solver. WHAT IS A GPS FREE LOCALIZATION SOLVER? The aim of the positioning solver is to allow localization of any communicating device in a reliable manner whether indoor or outdoor. Based on the information collected directly from the radio, the solver is capable of parsing, filtering and analysing the transmission quality to integrate a reliable position. Tailored around a particle filtering technique, information collected from the radio environment is transformed into a series of possible points, called particles. For each of these particles, a probability of being the searched position is calculated. The probabilities of all particles are processed through an iterative process until convergence. Localization of any objects communicating wirelessly provided infrastructure. 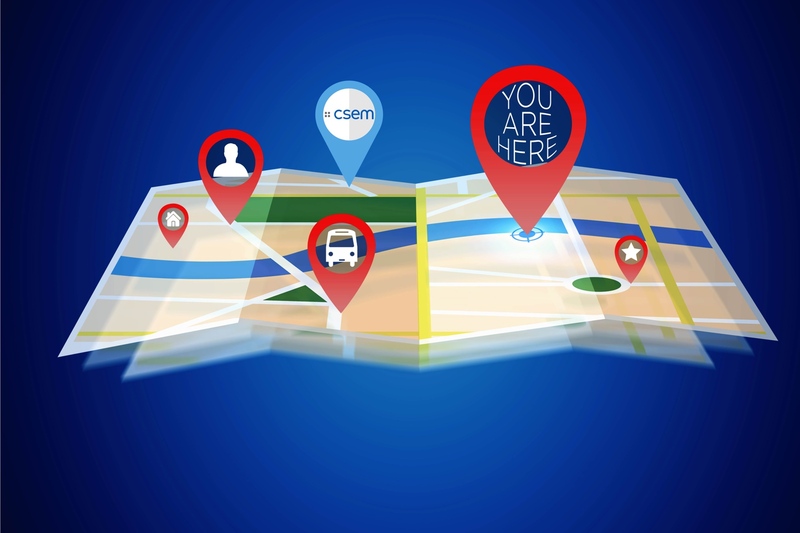 CSEM will continue to develop its GPS Free Localization Solver to improve its level of precision. The next path to be evaluated is the usage of Machine Learning to discriminate bad measurements and limit the impact of multipath.